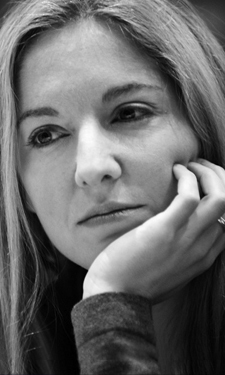 Victoria Coren Mitchell - Blog - New Only Connect! Excellent news - we have really missed our Monday fix. Rarely able to answer anything…maybe get something on the wall, but enjoy watching the quizzers reason out an answer. It’s about time they changed the symbols again. Woo! Back to my Monday night game of “Count the Circumflex in the OC credits”. Back up to four, this series. I love Only Connect but is there any chance of making a junior version that I could be on (I’m 14)? Not to do with Only Connect (which I love) but about your Observer column and the bit about your father and phone company. Equally weird was on Watchdog this Monday when a company insisted that they could only speak to the holder of an insurance policy, who was 6 months’ old. Went on in the much the same way as yours until the baby yelled into the phone and the operator politely asked him to stop shouting! OC just gets better and better – your excellent hosting is a joy. Such fun attempting the solutions then, getting a line on The Wall or shouting a ‘missing vowel’ answer before the contestants = happiness! Also, belatedly found your interview with The Telegraph. Admire your response to the inevitable and impertinent question of offspring. Beautifully express the delight of sharing life with one’s true love. In your Dad’s book More Like Old Times, Half Nelson, “Ask any cricketer why a score of 111 is Nelson, or any chippie what he calls his screwdriver” I know the first bit but what does a chippie call his screwdriver? Hi Rob. I’m afraid I don’t know! Maybe it’s guessable in the context, but it sounds like not. Sorry… I’m curious myself now. The screwdriver puzzle is a curious one. The best solution I’ve found is that it’s called a ‘beater’, because the screwdriver is used - apart from its obvious primary purpose - as an unofficial hammer, chisel, tin opener and whatever else job needs doing. I’m looking forward to the P L Travers documentary. The books are so much more amusing ...and darker than anyone would believe from seeing the Disney version. Kid’s favourite quote ‘don’t care was made to care - don’t care was hung’ ! It’s Monday and I’m checking the TV listings. Only Connect is the sole programme I see worth watching, but turning the telly on just for 1 prog feels wrong. Is there any way you can influence the scheduling, or sell it to Dave so that it is on every hour of every day? Oh dear i feel a rant coming on…. What kind of cheese was that Michael guy thinking of getting from a BILLY goat? Many congratulations on this show. Through your intelligent, unfussy and friendly mediation, the contestants are relaxed, real and therefore interesting. I don’t know whether this show is a mere spark in the dying embers of civilisation, or a green shoot of its recovery – in view of the amount of youthfulness in it, I dare to hope the latter. There’s more I’d like to say, but your limits supervene….